Apple TV now supports the Dolby Atmos sound bar. Apple TV introduced a better picture in 2017 with 4K HDR. 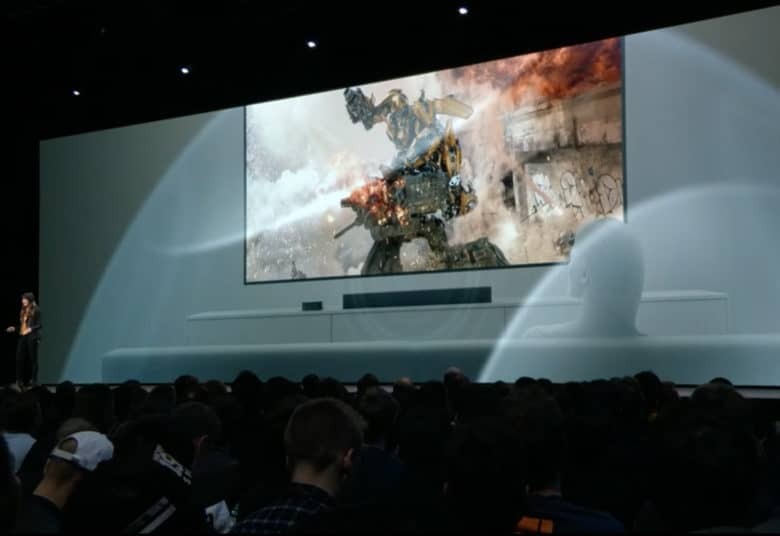 In 2018, tvOS 12 will add cinematic sound to match. Apple announced today that tvOS 12 will support the Dolby Atmos soundbar for an audio format that gives movie sound a kind of 3-D effect. The addition of Dolby Atmos makes Apple TV the only streaming device that supports both Dolby Vision and Atmos. Apple TV has been slow in its growth but since the introduction of 4K, Apple TV business has grown by 50 percent, Apple CEO Tim Cook said from the WWDC 2018 stage in San Jose. Apple has also invested heavily in original content currently under development thanks to recent hires of seasoned TV executives and partnerships with writers and actors. Apple TV also announced a partnership with Charter Spectrum to bring live programming to the TV app in the United States later this year. Apple TV designer Jennifer Folds said other cable providers will join in the coming months. In other Apple TV news, the iPhone Control Center will now feature an Apple TV tile that will act as a TV remote. It will also feature Siri support. Apple also partnered with Smart Home companies to allow Apple TV to be controlled with third-party remotes. Also with tvOS 12 will be new aerial screensavers from footage shot by astronauts aboard the International Space Station.